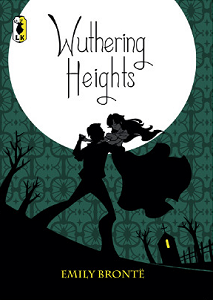 Wuthering Heights is one of the few Brönte novels that I have not read and, in spite of previously feeling somewhat ambivalent towards this book, I'm looking forward to it for this read-along hosted by Maggie at An American in France blog. Wuthering Heights begins in media res, with Mr. Lockwood visiting his landlord, Heathcliff at his home, Wuthering Heights. While initially curious about Heathcliff's strange means of living and intrigued by his caustic manner, his second visit arouses a much altered response. Treated to disrespectful treatment by the servants, occupants and master alike, he is dismayed to find himself an overnight guest courtesy of a snowstorm. 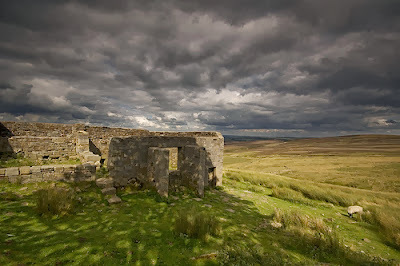 While in his room that night, Lockwood has a horrifying dream that ends with a young girl named Catherine Linton (yet he has also seen her name scratched on the windowsill as Catherine Earnshaw and Catherine Heathcliff) grasping his hand through the window and begging to be let in. His cry summons Heathcliff who, pale as death, agrees with Lockwood's decision to leave early and as Lockwood leaves the room, Heathcliff calls out in despair to his "Cathy". Later Lockwood is told the story of the Earnshaw family: how Heathcliff was brought home by Master Earnshaw from the streets of Liverpool and brought up within the family, although both the wife and brother hated his presence, while Catherine, the daughter, eventually chose him for a constant companion. 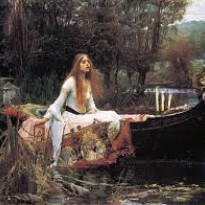 We learn of Heathcliff's dark, silent suffering that perhaps conceals more than we have yet seen, and of Catherine's willful, selfish spirit, each negative quality of these characters, nurtured by the lonely, loveless environment in which they live, and the harsh or indifferent treatment they receive from the father, mother and especially Hindley, Catherine's brother, who becomes their guardian after the parents' deaths. At the end of chapter 9, Catherine has agreed to marry Edgar Linton, a son of a respectable family, yet she vows a lifelong faithfulness to Heathcliff and a desire to enhance his life by her new respectable and influential position. Given Heathcliff's sullen pride, dark brooding tempers and possessive inclinations towards her, one wonders how she can justify her decision using such an untenable explanation. What connects the reader to the two main characters of the novel? So far neither have engaged my admiration but I think we can all feel a silent sympathy for their plight. Their sheltered lives, amongst people who failed to nurture even a sentiment of human feeling in either character, evoke a tentative compassion, as their choices seem to have already been made for them, instead of being products of stable, empathetic temperments. The tension at the end of the chapter is palpable, as a shocking car wreck that we cannot look away from, the foreshadowing of intensity of the coming situation evident.